An international business transformation and technology solutions partner provider offers digital, connected solution and consumer technologies modernization solutions to global enterprise customers. The client wished to build a videoconferencing room to connect with their other offices through Skype, utilizing video call and share a two-way whiteboard through Skype for business. 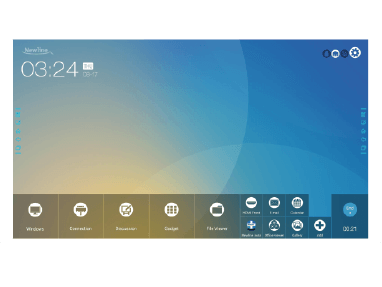 They were looking for standalone display with touch screen functionality and with a feature to display their company’s dashboard when not in use. They also wished to project the screen from laptop or MacBook to display wirelessly for presentation purpose. Newline offered the client TRUTOUCH 75” display (model TT-7516UB) with on-board computer OPS and wireless presentation TRUCAST 1 for their videoconferencing room. 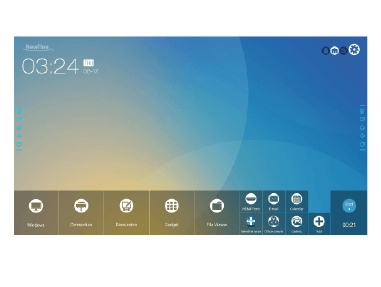 The TRUTOUCH display was integrated with their unified communication & collaboration (UC&C) solution, as well as a webcam connected to OPS for video call. Initiating a videoconference became more easier thereby increasing the communication amongst different offices. Also with the help of TRUCAST, employees can simply walk into the meeting room and share screens with audio wirelessly in a Skype video call as well as two-way whiteboard sharing. 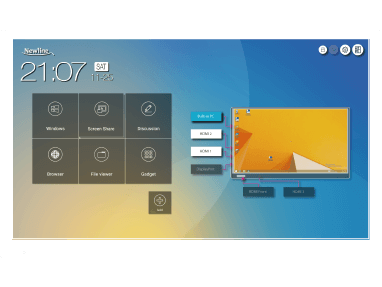 The easy-to-use TRUTOUCH 75” functions not only as a touchscreen, but also as the company’s dashboard.